We’ve probably all heard that gaining weight can be unhealthy. But what, specifically, makes excess weight unhealthy? Here are a few ways that weight gain can worsen or create health conditions, including chronic pain. According to a study discussed in an article for Harvard’s School of Public Health, people who suffer from obesity are 55 percent more likely to develop depression compared to people with a healthy weight. Chemical imbalances, hormones and societal standards of beauty can all be the cause of increased risk for depression and anxiety with weight gain. Researchers from Johns Hopkins studied 3,861 people and concluded that people with a high BMI (body mass index) and people who are overweight or obese are 81 percent more likely to experience frequent migraines than people with a lower body mass index. The exact cause has not yet been determined, but one theory suggests headaches may be caused by inflammatory chemicals released by fat cells. Diets high in unhealthy fats and refined carbohydrates can increase inflammation in your body and the release of migraine-causing inflammatory chemicals. Those who suffer from obesity are also at a higher risk for strokes and difficulty sleeping. Excess body fat can increase your risk for reflux disease or heartburn. Although there is no definitive reason why, WebMD suggests that an increased amount of body fat around the belly can increase the amount of pressure against your stomach, which causes fluids to rise and results in heartburn and reflux disease. Excess weight can strain your joints and bones and lead to musculoskeletal issues including arthritis in the hips, knees and ankles. Weight gain can also lead to lower back pain from conditions like herniated discs and pinched nerves from the added pressure on your spine. A new study, conducted by researchers at Stony Brook University, revealed a link between carrying extra weight and everyday pain. However, living with pain or weight gain doesn’t have to be a part of your lifestyle. Increasing your activity level by just 10 to 15 minutes per day can improve your circulation, boost your metabolism and fuel weight loss. Start by adding small amounts of activity to your everyday routine such as taking the stairs instead of the elevator or escalator, walking to lunch instead of driving, practicing a playground workout the next time your family goes to the park, or doing jumping jacks or running in place during commercial breaks of your favorite television shows. But exercise isn’t the only component to successful weight loss, a healthy diet is also essential. Cleanse your kitchen of all unhealthy fats, refined carbohydrates and processed foods, and replace them with fresh, whole fruits, vegetables and lean protein sources. You can even get the whole family involved with these healthy snacks for kids. Post-injury pain might be all in your genes. 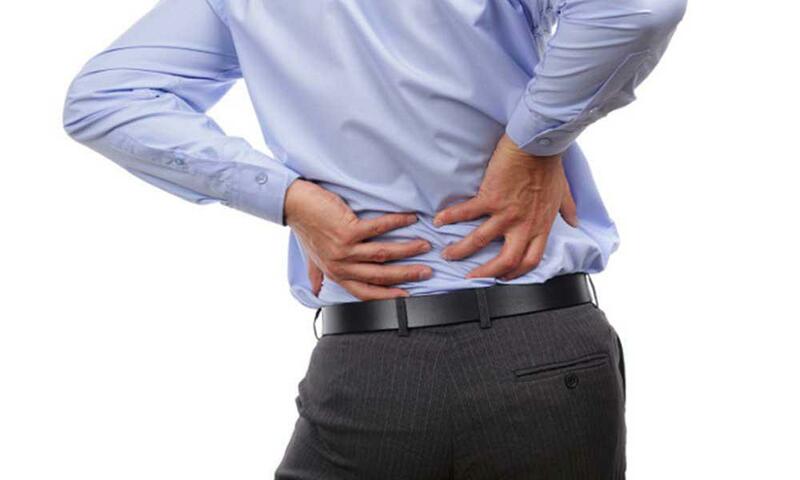 Recent studies suggest some of us are predisposed to suffer from chronic pain.